Back in 2004-2006, research done at the Manchester Universities Business School, led by Professor M.C. 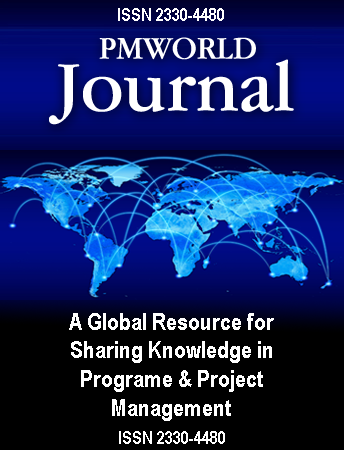 Winter, concluded that project management is a methodology “stuck in a 1960s-time warp”, and that the “underlying theory of project management is obsolete.” This paper revisits these conclusions 15 years on to see if they remain relevant with the growing expansion of “Agile” or “agile” project management. The Association for the Advancement of Cost Engineering (AACE International) was founded in 1956. The International Project Management Association (IPMA) was founded in 1964 , and the Project Management Institute was founded in 1969. So why, with all these globally recognized professional societies, are we not seeing measurable improvements in the “successful” delivery of projects? Surely in 60+ years these organizations have existed, IF what these organizations advocated worked, then doesn’t it seem reasonable that by now we should be seeing far fewer projects that run “late, over budget not to mention not delivering what was specified or worse yet, not meeting or fulfilling the objectives the project was undertaken to achieve or deliver? Back around 1905-1906, George Santayana told us “Those who cannot remember the past are condemned to repeat it.” So let us go back and do a quick review of history to see if we can learn anything from history to help us understand why projects as well as the products they were undertaken to produce, still “fail” with such alarming regularity. There is no excuse for the continuing high rate of project “failures” we read about almost every day., , , There is clear evidence that the processes of project management have been used by humankind for at least 5,000 years, validated by the Great Pyramids of Giza and many other wonders of the ancient world. As a matter of fact, the “trial and error” method which came to be known around the 12th century as the “Scientific Method” and is now being called “Agile” dates back even further, 1 million years ago to the taming of fire and 6,000 years ago to the invention of the wheel. SURELY in the past 6000+ years humankind could have and should have figured out how to “initiate, plan, execute, control and close” projects in a way that enables us to finish them on time, within budget, in substantial compliance with the requirements and specifications while substantially fulfilling the purpose for which they were intended? Back around the early to mid-1950s either Esso or Diamond Shamrock Oil developed a model that integrated portfolios of assets and projects, with operations (programs) and project management into a single all-inclusive methodology designed to “create, acquire expand, develop, maintain, repair and eventually dispose of” organizational assets. Attesting to the fact this model works, it is still in use after 65 years by all the major international and nearly all national oil companies today. This is what this “tested and proven” model looks like. Dr. Paul D. Giammalvo, CDT, CCE (#1240), MScPM, MRICS, is a Senior Technical Advisor (Project Management) to PT Mitratata Citragraha. (PTMC), Jakarta, Indonesia. www.build-project-management-competency.com. He is noted for the development and delivery of graduate level, blended learning curricula designed for the mid-career path, English as Second Language (ESL) professionals to develop competency in the local practitioner and build capacity for the local organizations. For 25+ years, he has been developing and delivering Project Management training and consulting throughout South and Eastern Asia Pacific, the Middle East, West Africa, and Europe. He has spent 35 of the last 50 years working on large, highly technical international projects, including such prestigious projects as the Alyeska Pipeline and the Distant Early Warning Site (DEW Line), upgrades in Alaska and the Negev Airbase Constructors, Ovda, Israel and the Minas Oil Field in Rumbai, Sumatra. His current client list includes Fortune 500 major telecommunications, oil, gas and mining companies plus the UN Projects Office and many other multi-national companies, NGO organizations and Indonesian Government Agencies. In addition to 45+ years of hands-on field experience, Dr. Giammalvo holds an undergraduate degree in Construction Management, his Master of Science in Project Management through the George Washington University and was awarded his PhD in Project and Program Management through the Institute Superieur De Gestion Industrielle (ISGI) and Ecole Superieure De Commerce De Lille (ESC-Lille) under the supervision of Professor Christophe Bredillet. “Dr. PDG” can be contacted at pauldgphd@gmail.com.